Stir-fry Pasta With Chicken, Broccoli And Carrots. Served In A Frying Pan. Fotos, Retratos, Imágenes Y Fotografía De Archivo Libres De Derecho. Image 118519663. 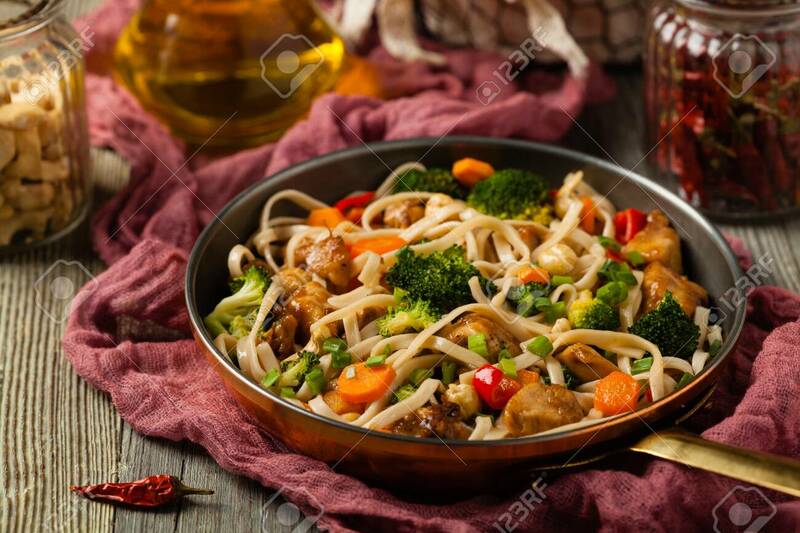 Foto de archivo - stir-fry pasta with chicken, broccoli and carrots. Served in a frying pan. stir-fry pasta with chicken, broccoli and carrots. Served in a frying pan.